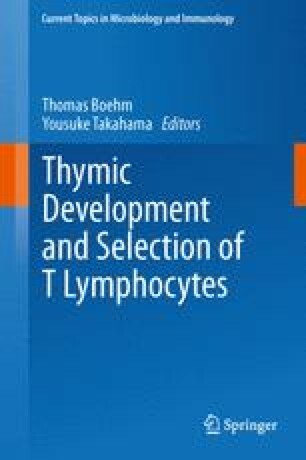 The continuous production of T lymphocytes requires that hematopoietic progenitors developing in the bone marrow migrate to the thymus. Rare progenitors egress from the bone marrow into the circulation, then traffic via the blood to the thymus. It is now evident that thymic settling is tightly regulated by selectin ligands, chemokine receptors, and integrins, among other factors. Identification of these signals has enabled progress in identifying specific populations of hematopoietic progenitors that can settle the thymus. Understanding the nature of progenitor cells and the molecular mechanisms involved in thymic settling may allow for therapeutic manipulation of this process, and improve regeneration of the T lineage in patients with impaired T cell numbers.